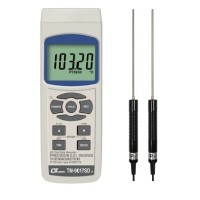 Categories: Brands, Hand-held Tester, Magnetic / Gauss Meter. 1. 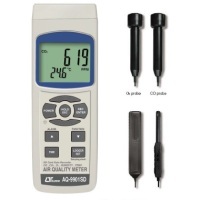 Can measure DC and AC(40-500Hz) magnetic field. 2. DC N/S polarity of magnetic field display. 3. After machine component are processed, remain the magnetism to measurement. 4. Magnetic application products, the intensity of magnetic field measurement. 6. Magnetic force measurement of the magnetisable material. 7. Various steel products brought magnetic measurement naturally. 9. Magnetic field intensity measurement of the permanent magnet. DC N/S polarity of magnetic field display. Relative / Peak Hold / Real time Zero function. LCD Back-light: Manually in a back-light to open And close, connect as connecting the power, in a back-light and long and on, it is in a back-light to connect the power and remove to close. GO and NO-GO alarm and alarm value set up the function, Production testing. 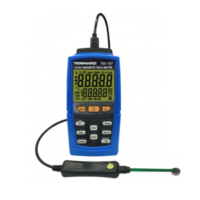 Auto 6000 capacity data logging, interval is set up by PC. Maximum and minimum average: record the data downloaded to the computer, automatically out of the calculation of the top 10 maximum / 10 minimum / average. Transmission interface: USB interface to send data + PC connection application software, real time function. External AC 100~240V to DC 9V/0.5A power supply.